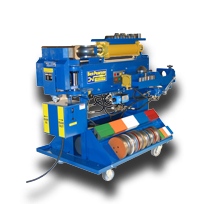 The top of the line compression tube and pipe benders available anywhere. American made. Built by experienced masters. Rugged I-beam construction… Tough as hell. Lasts decades. 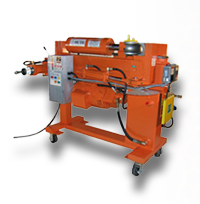 The value of portable, affordable, super strong tube and pipe benders was quickly evident when Huth first introduced them. With a few sizes of straight tubing on hand, you can quickly bend pipes for thousands of applications. Today’s Huth & Ben Pearson Benders are used in many more automotive and non-automotive applications than inventor Gerry Huth ever dreamed! When Ben Pearson teamed up with Huth in 2008, two premier innovators in bending with a similar philosophy of “It’s all about the customer” came together. You will find our benders in shops working to make the fastest cars in the neighborhood, and building specialty equipment for cars and sporting goods….. Around the world! You’ll find them in a wide variety of welding and fabrication shops, as well as manufacturing operations and prototyping facilities, building a vast array of structures and frames. Huth and Ben Pearson equipment and tooling are used to manufacture furniture, car ports, hand railings, pole barns, trailers, and many other applications that require pipe bending and end finishing.